Univ Of Minnesota Press, 9781517905996, 320pp. Framed by news stories of half a century and annotated with the town’s chorus of voices, Haze’s story unfolds, as do those of others touched by the Granite Creek Gazette, including Susan, struggling with her troubled marriage, and her teenage son Sam, who—much to his surprise—enjoys his summer job reading the paper archives and discovers secrets that have been locked in the files for decades, along with sad and surprising truths about Haze’s past. 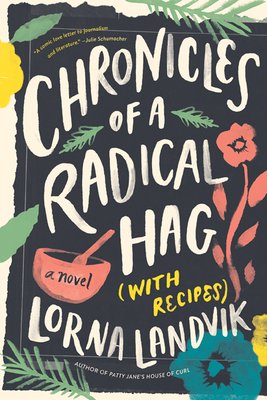 Lorna Landvik is the author of twelve novels, including the bestselling Patty Jane’s House of Curl,Angry Housewives Eating Bon Bons, Oh My Stars, Best to Laugh (Minnesota, 2015), and Once in a Blue Moon Lodge (Minnesota, 2017). She has performed stand-up and improvisational comedy around the country and is a public speaker, playwright, and actor most recently in the one-woman, all-improvised show Party in the Rec Room. She lives in Minneapolis.